Robert Harward turned down Trump. Now others can too. Now retired Vice Adm. Robert S. Harward (right) in Amman, Jordan, in 2012. Donald Trump isn’t accustomed to hearing prospective underlings say “No.” So it came as a shock when retired Vice Adm. Robert Harward—his first choice to replace Michael Flynn as national security adviser—told the president he’d have to think about the offer. It must have been a double shock when, a few days later, Harward turned him down flat. The rejection is stunning in several ways that go well beyond the scope of Trump’s personal sensitivities. First, it is very unusual—almost unheard of—for a senior military officer, retired or otherwise, to turn down a request from the commander-in-chief. The national security adviser plays several roles. He or she chairs the Principals Committee, the interagency group of Cabinet secretaries and top military and intelligence officers who help make decisions on high matters of policy; coordinates the NSC staff, which includes a few dozen political appointees and a couple hundred professional analysts; and advises the president, to the extent the president wants to be advised. In other words, to make the job worthwhile, the adviser must have close access to the president and clear lines of authority over the national security bureaucracy. Harward would have come to the job with the experience of a warrior, a commander, an analyst, and a staff officer. In his 38 years as a Navy officer, he had been a SEAL, the deputy commander of U.S. Central Command, the representative of the Chairman of the Joint Chiefs of Staff at the National Counterterrorism Center, and the director of strategy and policy on the National Security Council staff. In other words, Trump was given a choice: cater to the loyalty and ambitions of his political operatives, who have no competence whatsoever in national security affairs, or install a professional who can build and maintain a functioning national security apparatus. He chose the former. 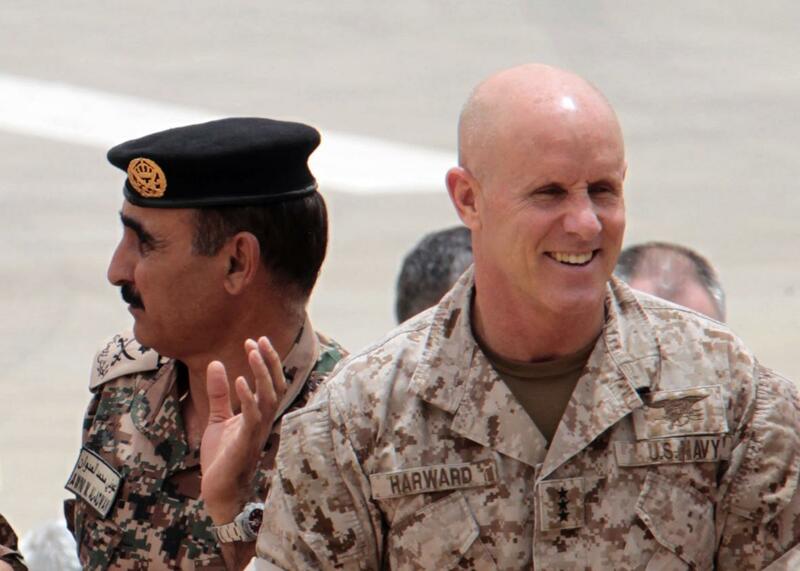 Harward would also have had a link to Secretary of Defense James Mattis, who was commander of U.S. Central Command when Harward was its deputy. It’s possible that some in Trump’s inner circle, especially Bannon, wouldn’t want there to be these sorts of ties, as they could be used to bypass the White House and circumvent his own power. Trump may now have a hard time filling the position with anyone whose qualifications or prominence would help calm the jitters of allies worldwide—and foreign policy specialists here—who are wondering what the hell is going on with this president. At the moment, retired Lt. Gen. Keith Kellogg, a competent administrator who had been the NSC’s chief of staff, is the acting national security adviser, and it may be that Trump will have to settle on him as the successor. Three weeks into his term, Trump heads a White House with three or four vacant power centers. He has no national security adviser, a half-full NSC staff, and hollow Defense and State Departments (where Trump has yet to nominate any deputy or undersecretaries), and the secretaries heading those departments—Mattis and Rex Tillerson—however smart and talented they may be, have never run a federal agency. At his wild and woolly press conference Thursday afternoon, Trump twice insisted that his administration was “a fine-tuned machine.” It was a risible claim then. A few hours later, after news broke that a retired vice admiral and former Navy SEAL didn’t want to work for him, not even in one of the most vaunted jobs in the White House, the claim careened into total absurdity.